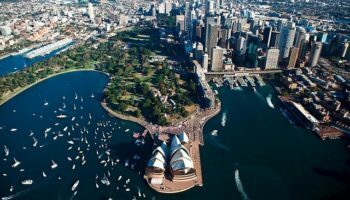 Boasting one of the most scenic harbors in the world, sophisticated Sydney lets visitors to Australia know they’re entering someplace special from the moment of arrival. From the unfurled sails of the Sydney Opera House to the soaring arc of the Harbour Bridge, the city’s architectural gems are nothing short of astonishing. 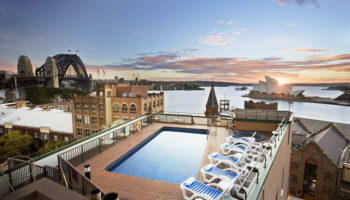 It’s perfectly possible to spend an entire vacation in Sydney without running out of things to see and do, but there’s an abundance of sights and attractions to enjoy within a short drive of the city as well. 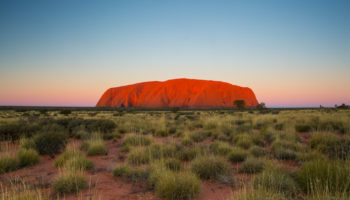 Day trips from Sydney offer visitors the chance to sample the best of Australia, from lush green parks and vineyards to wide stretches of sun-kissed sand. Nestled against the Illawarra Escarpment on a coastal plain south of Sydney, Wollongong is best known for its many fine beaches, all of which boast free parking and easy access by public transportation or bicycle. Popular beaches like North Beach One and Austinmer feature nearby cafés, kiosks and barbecues with shady parks bordering the sand. With its caravan park, Windang on the south side of the city is a family-friendly beach that’s perfect for an overnight adventure. Only an hour’s drive south of Sydney lies the Royal National Park, a sprawling nature reserve that stretches from the rugged coastline to the inland rainforests. Walking and biking are the favorite activities in the park the locals call “Nasho.” There’s an extensive network of trails to explore, including the self-guided tour along the Lady Carrington Walk, which features historical markers and crosses more than a dozen streams. Located inside the park is the town of Bundeena where a 30-minute walk leads visitors to the ancient Aboriginal rock art at Jibbon Head. 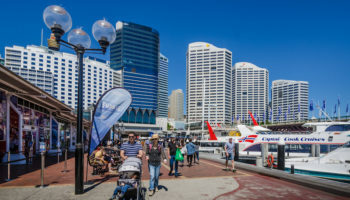 Australia spent the first half of the 20th century planning, designing and building the country’s capital, and it shows. From its large artificial lake to the wheel-and-spoke design of its streets, Canberra is a showpiece of civil engineering. The city’s unique bushland location, however, adds an element of wildness to this seemingly prim and proper metropolis. Kangaroos graze in the evening near government buildings, water dragons thrive in the National Botanic Gardens and Australia’s largest collection of big cats call the National Zoo home. With more restaurants per capita than any other Australian city, Canberra’s culinary scene begs exploration as well. The largest grape-growing region in New South Wales is best known for its more than 100 wineries, making it an ideal destination for either a day trip from Sydney or a weekend getaway. Located just two hours north of Sydney, the Lower Hunter is most prized for its Semillon and Shiraz varietals while the rugged bushland of the Upper Hunter produces more aromatic wines like Rieslings. The Upper Hunter is also the largest horse-breeding region in Australia. 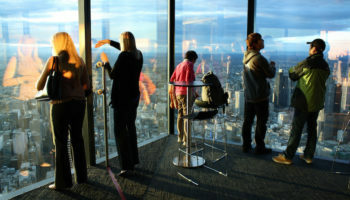 The entire region is dotted with small towns filled with tasty eateries, country pubs and shops selling arts and crafts. The second largest city in New South Wales, Newcastle has come a long way since its coal industry beginnings. 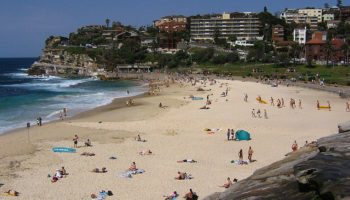 Newcastle’s transformation began when the steel mills closed in the late 1990s and the city’s surf culture came to the fore. With its gentrified harbor and beautiful beaches, it’s no surprise that most activities in Newcastle center on the water. A trek along a narrow longshore drift to the landmark Nobby’s Lighthouse offers expansive views of the sea. The city is also home to the Mereweather Baths, advertised as the largest ocean-water swimming pools in the Southern Hemisphere. Situated in the Blue Mountains National Park west of Sydney, the Jenolan Caves are considered the oldest system of caves on the planet. Ten of the more than 300 caves in the region are open to the public year round. The underground limestone structures feature an amazing array of stalactites, stalagmites, pools and rivers. Tours are available for explorations into the most popular caves. They range from one-hour treks that offer peeks into the most popular caves to all-day adventures that include squeezing through narrow passageways and rappelling into the depths. 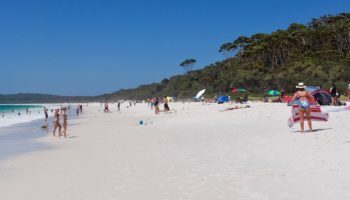 With a bay that’s twice as big as Sydney Harbour, Port Stephens is a popular destination for active pursuits, from fishing, kayaking and surfing to long walks along the shore and hikes on the sea cliffs. Used a backdrop for scenes in the 1979 movie “Mad Max,” the massive Stockton Sand Dunes on the south side of the peninsula are the largest in the Southern Hemisphere. The dunes are a favorite spot for horseback riding and 4×4 racing. Whale watching cruises leave from Nelson Bay and are well worth it in the seasons that humpbacks pass by (May to November). Local dolphins and penguins can also be seen on these trips. A two-hour drive west of Sydney lands visitors in the midst of the Blue Mountains National Park, named after the blue haze of water, dust and eucalyptus oil droplets that perpetually lingers in the air. 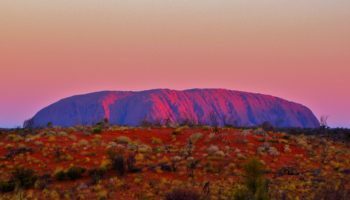 Steep sandstone cliffs, tumbling waterfalls and expansive forests provide grand, sweeping vistas of great natural beauty. One of the best places to enjoy the view is at the lookout at Echo Point in Katoomba, the largest of the four main towns in the national park. 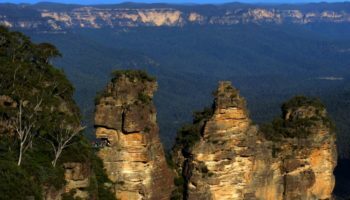 The town of Wentworth Falls offers access to one of Australia’s most celebrated walks, the National Pass, which leads adventurous travelers in a near-vertical descent to the valley below.